After Hindi, Tamil, Telugu, Kannada and Marathi Bigg Boss the most controversial reality show is to enter the path of Kerala with much enthusiasm and expectation. The story of Kerala Bigg Boss is going around for some time now but now it is officially announced to be aired from the 24th of June 2018. The promo videos of the Bigg Boss Malayalam has released and the fans are very much excited for the show. The Malayalam Bigg Boss was contestants names are now officially announced. Check out the 16 contestants of Bigg Boss Malayalam below. The show is itself a huge success and earned a lot of TRP in Hindi and other languages. After watching the graph of success, the producers are launching Bigg Boss in different versions which are making all regional viewers very excited. Everyone needs some spice in life. So why not provide the human mind with some entertainment and other spices to free from daily stress. Bigg Boss is that kind of show which will keep us away after the day’s work for at least one to one and half hour. The contestant’s future in the Bigg Boss house will be determined on basis of the number of votes they receive from the audience. The voting of Bigg Boss Malayalam is available through the Google Online voting system. Check out the voting steps below. Now the nominated contestants will be displayed. Sign in using the Google account and cast your votes. Note: A user can cast 50 votes per day. It was Kamal Hassan in Tamil, Kiccha Sudeep in Kannada and Jr.NTR in Telegu to host the show for 100 days under the same roof with 15-16 contestants as tenants. Now in Malayalam, the producers have decided on Mohanlal to host the show for these 100 days starting from June 2018. There were other Malayalam heroes who were initially shortlisted for hosting the show but the stamp was finally on Mohanlal, the Megastar of Malayalam Movie. This is the first season of Bigg Boss in Malayalam and will start from 24th of June, 2018. The Bigg Boss show is the replica of Big Brother show of America. 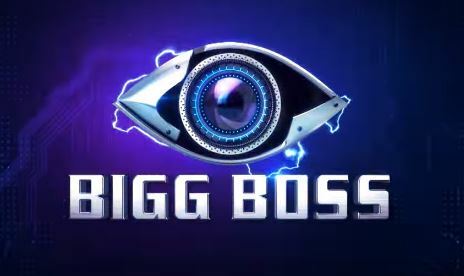 In such a show the contestants are mainly celebrities who remain in the Bigg Boss house for nearly 100 days without having any connection with the outside world and every one of these participants are under surveillance for these amounts of days. Each week each one who is treated as tenants of the house is eliminated or rather evicted and the tenant who receives the most amount of voted is declared to be the winner of the show. The Location of the Bigg Boss house will be Kochi. The celebrities form big and small screen compete in this reality show because of the prize money.